The last time these two teams faced each other, Kolkata Knight Riders got the better of Kings XI Punjab. They defeated Kings XI by 6 wickets with 17 balls remaining. From that point onwards, Knight Riders kept climbing the stairs of success. On the other hand, Kings kept on falling on and on until their last match was played. A day before the match, the think tank of Kings XI had made the most swashbuckling decision of IPL 9 by axing the captain, David Miller. Perhaps, they had lost the batsman in Miller in the quest of finding a leader in him. Murli Vijay was given the big responsibility. The 32-year old right-hand batsman showed signs of immediate success both as a captain and as a batsman, which was missing during Miller's tenure as captain. Vijay scored an accountable 41-balls 55 before getting out to Shivil Kaushik. He was proactive during the second innings as well. Four different bowlers bowled the first four overs which meant that the latter not only had plans but the will to execute them as well. Kings XI rode on Axar Patel's hat-trick and the team managed to defeat the no. 1 team, Gujarat Lions with a stamp of authority. 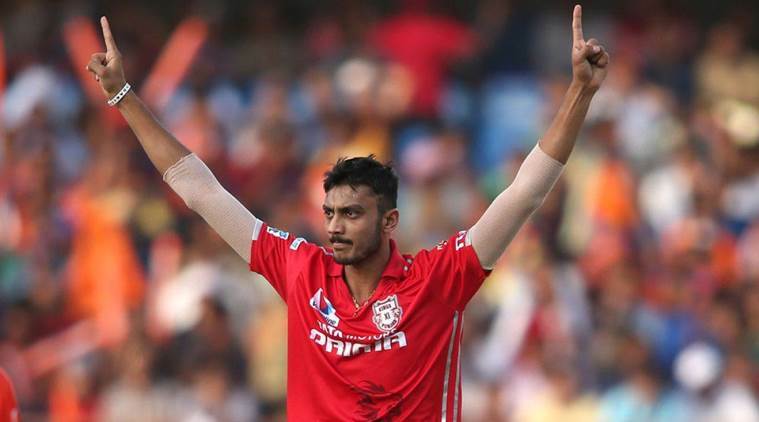 Axar Patel became the first bowler to take a hat-trick in IPL 9. One victory does not crown them as favorites but there is always a start to everything special. If they faced Gujarat Lions the other day, tomorrow is the time to face Kolkata Knight Riders, who is at the second position in the points table as of now. The fact that the match will be played in Kolkata should not affect them as their win against Lions also came playing away from home, in Rajkot. Vijay wouldn't have thought of refining the winning combination but a back injury to Shaun Marsh must have change his thoughts. Marsh's injury should end Farhaan Behardien's stint on the bench. His debut might well be the only change for Punjab. It will also mean that both Maxwell and Miller would be given yet another chance. The duo has had issues regarding form. With a string of failures behind them, this might be the game when Punjab thrives on their success. Axar Patel was instrumental the other day. He became the 14th bowler to grab a hat-trick in the IPL. Only second (behind Yuvraj Singh) from Kings XI Punjab to achieve this feat. Patel has 38 wickets in 38 matches in the IPL. His average of 25.18 and economy rate of 7.18 is worth the praise. The team would once again be banking on him for wickets. The Sharma's, namely Sandeep and Mohit have also come good for Punjab in this season. KKR was on the verge of losing it's third match in a row before Yusuf Pathan and Andre Russell came to the rescue last night. Yusuf Pathan's 29-balls 60 led KKR to it's fifth win. It was a testimony of the team's all-round strength. Gautam Gambhir had included Chris Lynn and Morne Morkel in place of Jason Holder and Brad Hogg to provide balance to the team. Morkel proved his worth by dismissing Chris Gayle and Virat Kohli. His figures of 4-0-28-2 were as good as gold, considering the fact that the overall run rate for RCB was 9.25. However, Lynn could not capitalize on his chance. 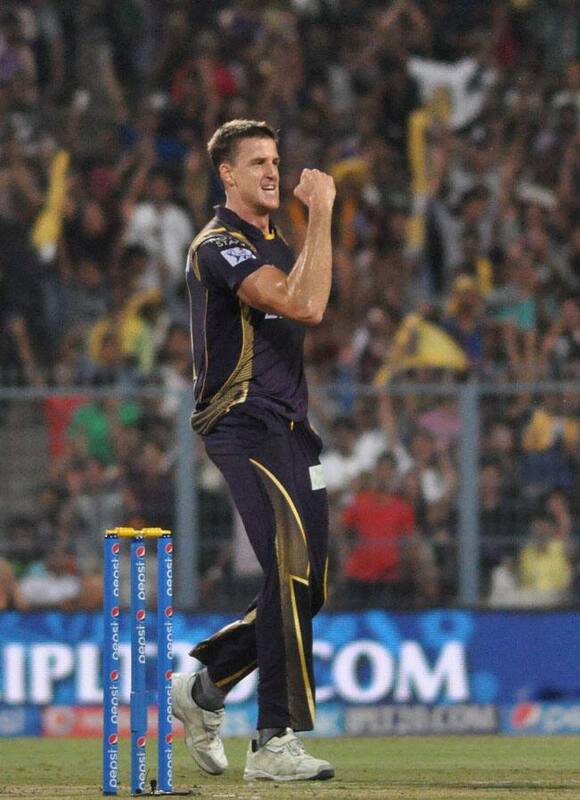 Morne Morkel is crucial for KKR with the new ball. The other bowlers in Sunil Narine and Umesh Yadav were expensive on the given day. But anyone can have an off day and the management won't be worried with that. Although Manish Pandey looked scratchy on his return, his inclusion in the batting order provides immense strength to the team. Lynn might have to vacant his place for Shakib Al Hasan or Colin Munro, which would perhaps be the only change. Whether Vijay-The Captain is the answer to Punjab's woes will only be determined after a couple of matches. It will be difficult for them to stage a comeback if they lose tomorrow, making it another vital match for them. Another enthralling thing to watch would be whether Yusuf Pathan has actually gained form or his efforts last night were only a one-match wonder.